Raspberry Pi is a low cost and tiny- sized computer that plugs into a computer monitor and uses a keyboard and mouse. It enables people of all ages to learn computing in an easy and efficient way with programming languages like Python, Windows Programming & Android. Wondering How to design and implement Amazing and Best Raspberry Pi Projects ? Nevon Projects is the best place to find a variety and list of Raspberry Pi Projects for Beginners, Advanced Raspberry Pi Projects, DIY Raspberry Pi Projects and much more. Raspberry Pi when used with IOT and Python brings out exceptional benefits and advantages through which many advanced systems can be built. 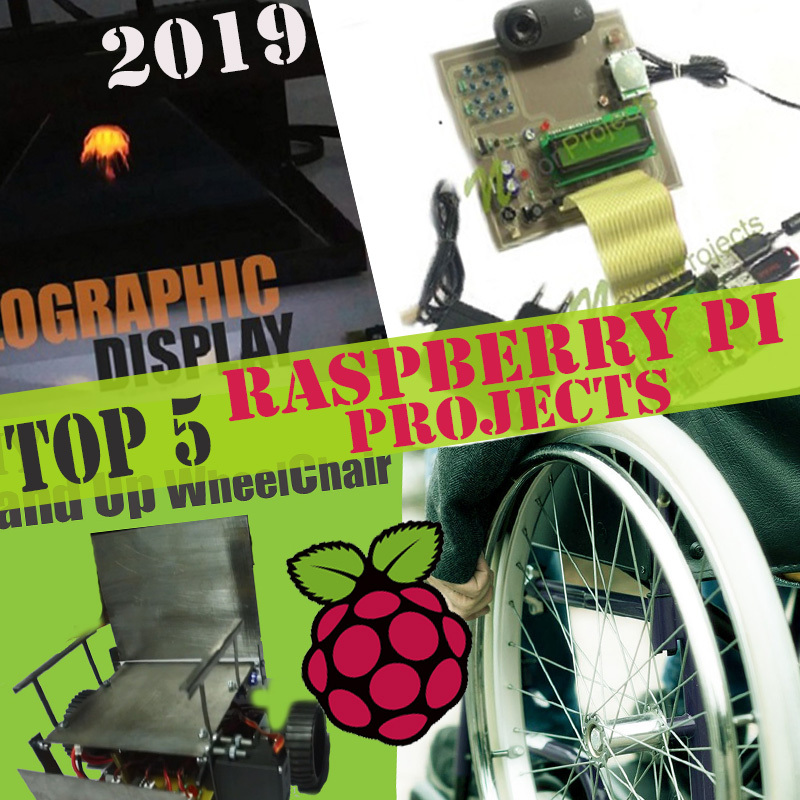 Hence, we have also listed amazing Raspberry Pi 3 projects, Raspberry Pi Python Projects and Raspberry Pi IOT projects. You may get best ideas by reading all of these following project ideas. 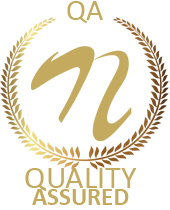 We have proposed an automated system with a motion activated recording camera that starts recording only when motion is detected. Entire day and night the camera remains on for recording purpose to get right moments footages. System saves battery as well as storage as it only records footage when motion is detected. 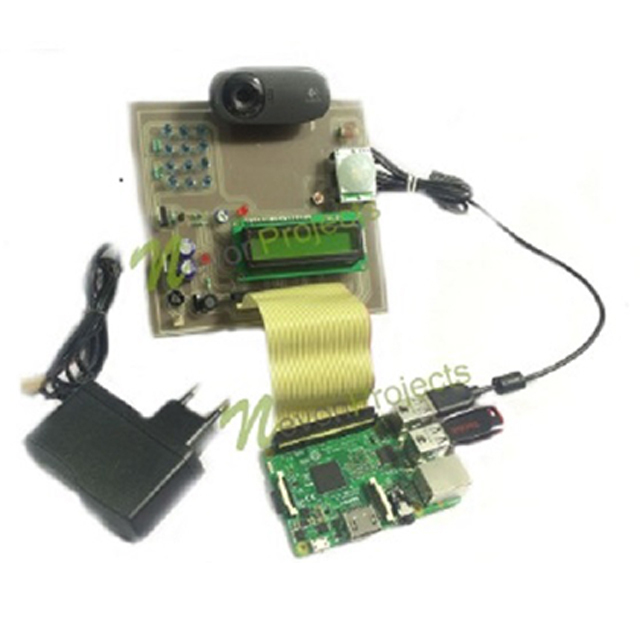 This system is powered by raspberry pi and consists of motion sensor with camera and SD card circuitry. As the motion is detected the raspberry pi records footage of the motion and again stops recording when motion is not detected which is saved in the memory card for later viewing. 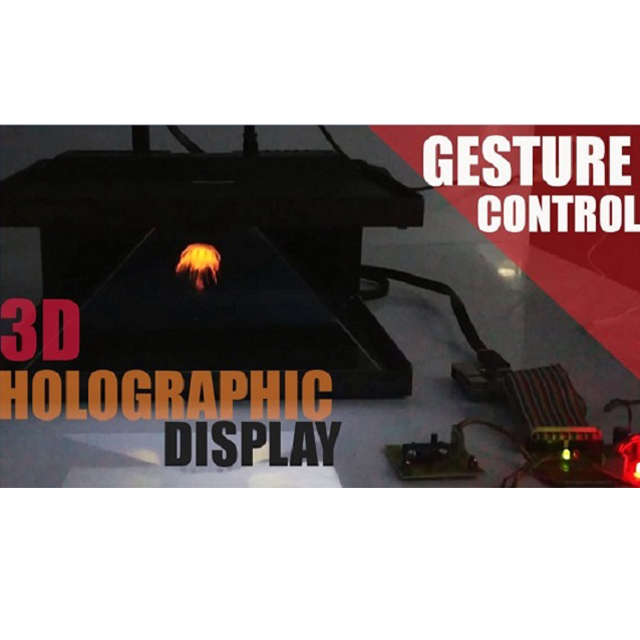 This 3D Holographic Display System produces holographic projections created through anticipated picture by refraction through the interference design, losing barely any light, and working with substantially more productivity. A holographic projector utilizes part illuminations reflected together from multiple viewing angles of the subject in a combined form to reproduce a picture of the subject in a 3D state. This system is powered by Raspberry pi it consists of display, Supporting Frame, gesture sensing board. In this system, we propose a virtual piano that just uses semi-transparent plastic sheet that can be carried and does not have any electronic components in it. 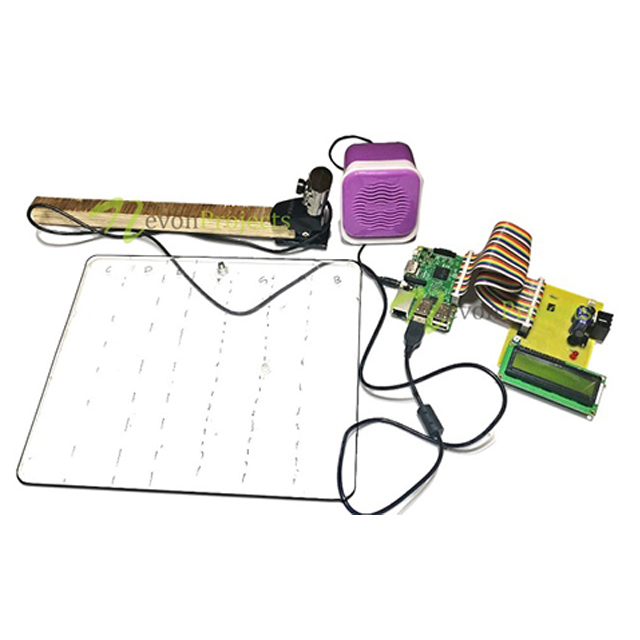 This system is powered by raspberry Pi, camera is attached to it and also a plastic sheet to make the piano virtual. To divide the plastic sheet, we use image processing. Through the plastic sheet we detect the human fingers and it associates piano tone for each section to play piano tones using a speaker. We provide the transparent light weight plastic board. Here we propose a smart speaking system that helps mute people in conveying their message to regular people using hand motions and gestures. 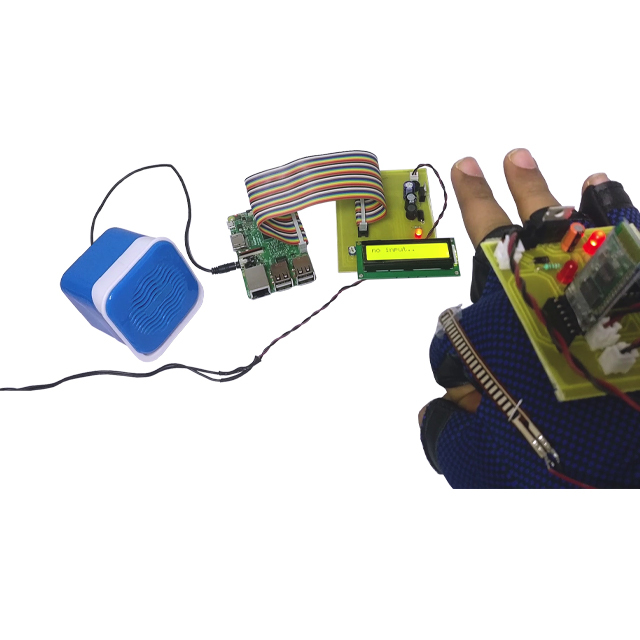 The system makes use of a hand motion reading system equipped with motion and flex sensors along with a speaker unit. This system is powered by a battery powered circuitry to run it. A raspberry pi is used for processing the data and operating the system. The system consists of around 10 stored messages like “need help”, “where is the toilet/washroom” and so on that help mute people convey basic messages. It also has trigger sensor to indicate the person wishes to activate the system and speak. This system can be used by disabled people to move around conveniently. Some people try to use walker, in many cases the patient can lose balance and fall and be injured. In order to prevent from such circumstances our system can be used. 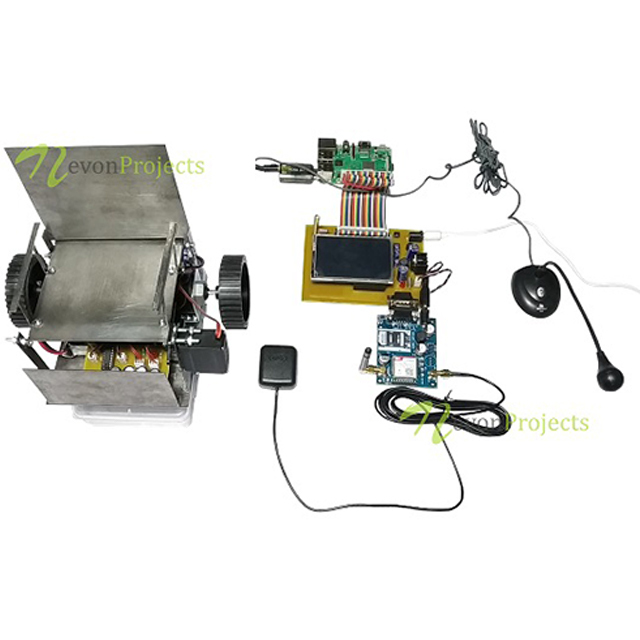 This system is powered by Raspberry Pi, it is equipped with the graphical LCD and RF module, a GSM and GPS module, servo motor and wheel chair. The user can input command to operate a wheel chair to achieve a desire movement. The transmitter and the receiver circuit interact with each other using RF communication. This system also has an emergency feature, the user needs to press the help button to for an emergency.